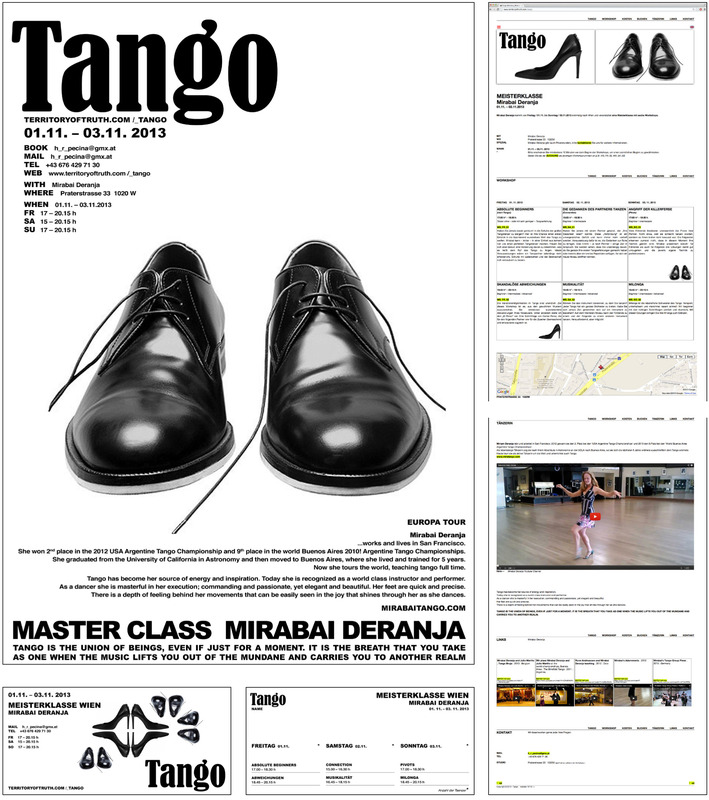 Layout and graphics for a Tango Workshop. Mirabai Deranja, a worldclass Tango dancer toured 2013 Europe to give workshops for Tango enthusiasts. We created the marketing material and web appearance for this event.